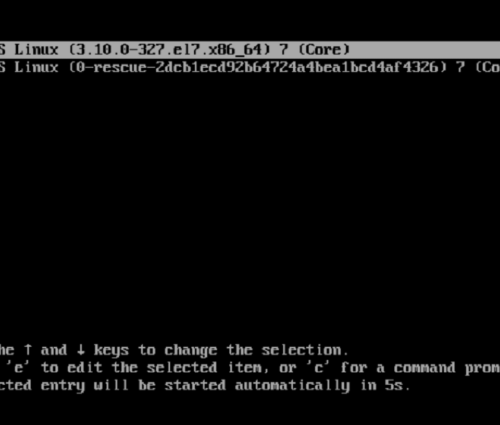 Forgot your RHEL 7 or CentOS 7 Linux root password? Did you recently inherit one of these systems but do not have a way to log in? 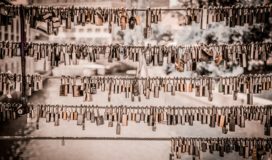 If you have access to the console, be it physical or using whatever Hyper-Visor tools, you may be able to perform a root password recovery procedure. Please note that this procedure must be performed from a console session. We also assume the system is using the default grub2 bootloader and grub is not being password protected. Lastly, this procedure cannot be accomplished over any SSH remote session. Being able to see the grub bootloader boot options is essential and using the procedure below, it can only be done through a console session. The first step is to power up or reboot the system and edit the grub2 parameters. Timing here is critical. You must press ‘e’ before the menu times out and boots normally. 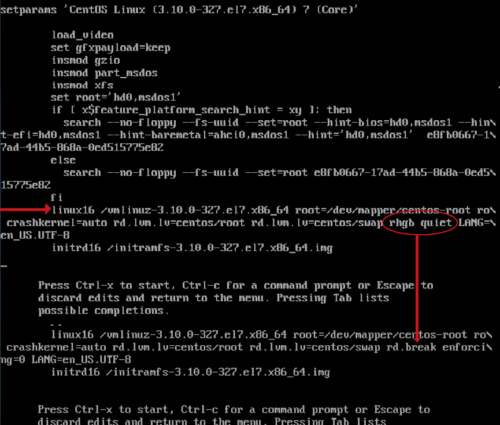 Once you have edited the parameters accordingly, hit CTRL-X to start the boot process with the new parameters. The system should boot into the root system. We can use the passwd command to change the root password. Allow the system to boot normally and login as root using the new password that you set in step 6.